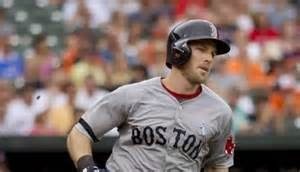 The Boston Red Sox have brought back SS Stephen Drew on a 1 year deal. Drew hit .253 with 29 doubles and 13 home runs for the World Champion Red Sox in 2013. Boston started rookie Xander Bogaerts at short this season, and the youngster has hit .269 but only provided 11 XBH and 7 RBI. He will get the majority of playing time at 3B over Will Middlebrooks. Drew should be with the Red Sox in about a week. He should provide some much needed pop to a Boston lineup that is 22nd in slugging.